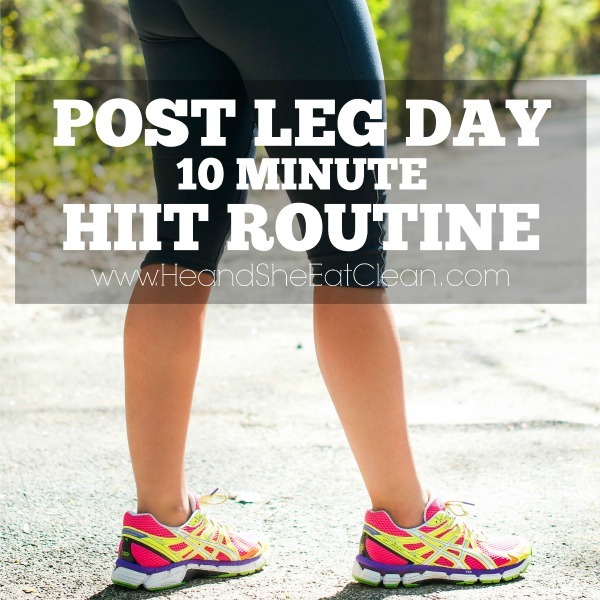 I know, I know, cardio after leg day sounds like torture but I’ve actually found that doing this short, but intense, Leg Day 10 Minute HIIT Routine right after legs actually helps! So on leg day (using our She Sweats workout plan) I’ll do my leg workout, this 10 minute HIIT routine, and then stretch for about 5 minutes. I definitely leave the gym feeling accomplished! As always, adjust the incline and speed to what you are comfortable with but make sure your heart rate stays up. 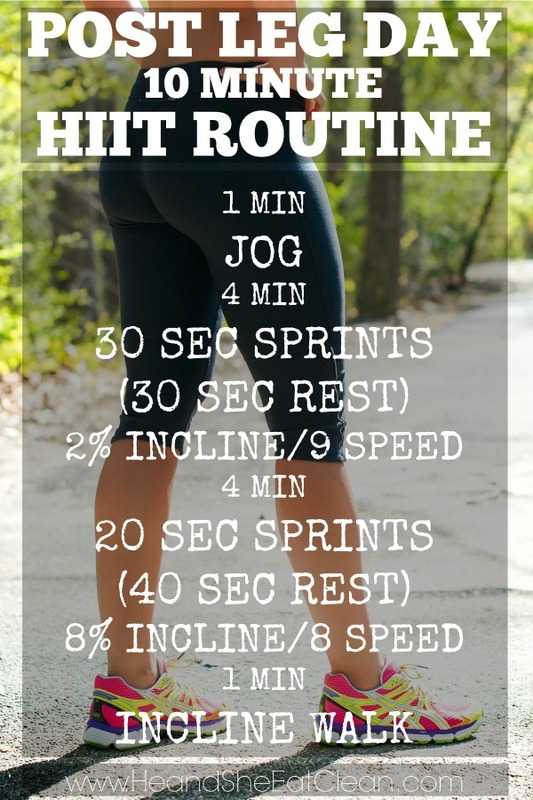 This is only 10 minutes long (including the warm-up and cool down) so give it all you’ve got!